Me ha encantado el apartamento y Barcelona escepcional. 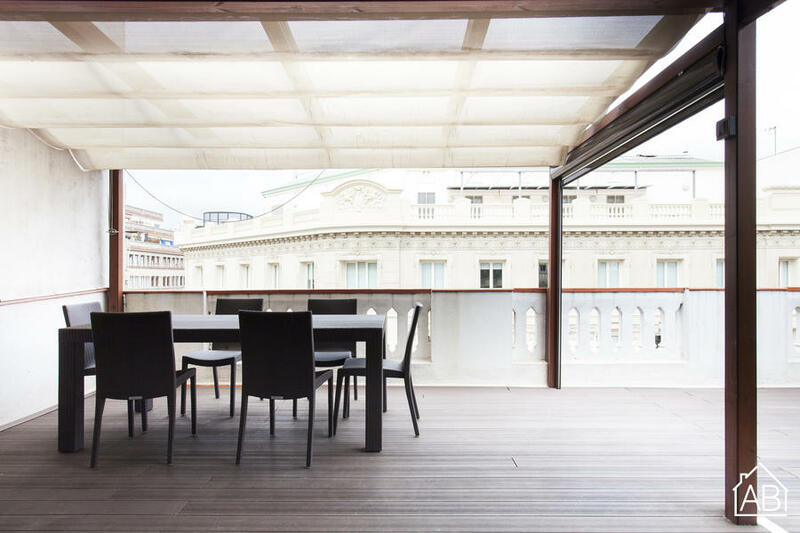 This modern and stylish one-bedroom apartment in Barcelona, located in the picturesque Eixample, is a great choice for those seeking a sleek and comfortable place to call home during their trip to the Catalan capital. The central location of this lovely neighborhood ensures that no part of Barcelona will be left unexplored! This apartment can accommodate up to 2 people in total. The sleek design of this lovely locale adds to its warm and welcoming feel. Carefully selected furniture, modern touches and the chic ambience throughout makes this apartment one-of-a-kind. The lovely living room is furnished with a comfy double sofa bed and a TV, perfect for kicking back after a day of sightseeing around Gaudí´s city. You can also step out onto the terrace where you can soak up some Spanish sun, or look out over this beautiful Barcelona ´barrio´. The delightful dining area has large windows and is situated next to the patio, allowing guests the chance to feel as though they are eating outdoors. The fully equipped kitchen has all of the utensils and appliances needed to create your favorite dishes, all in the comfort and privacy of this ideal home-away-from-home. The bedroom is furnished with a double bed and the apartment has one bathroom, fitted with a walk-in shower. For those who seek a stylish, yet cozy place to call home during their trip to the Catalan capital, this beautiful apartment complete with air-conditioning and Internet connection is the ideal choice, any time of the year!